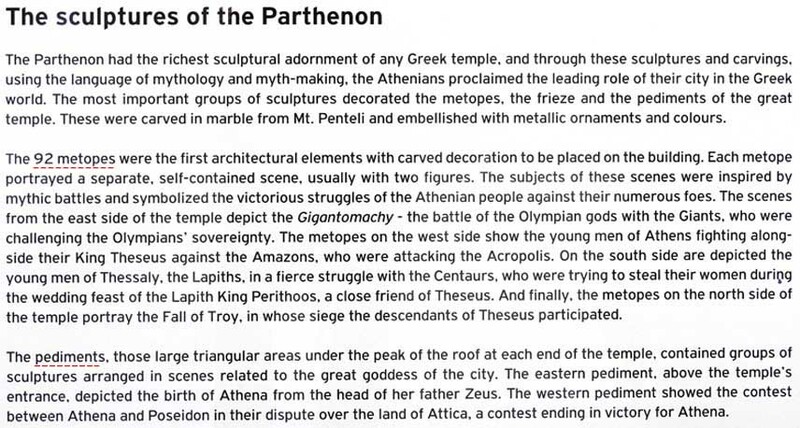 Parthenon: Temple that dominates the hill of the Acropolis at Athens. 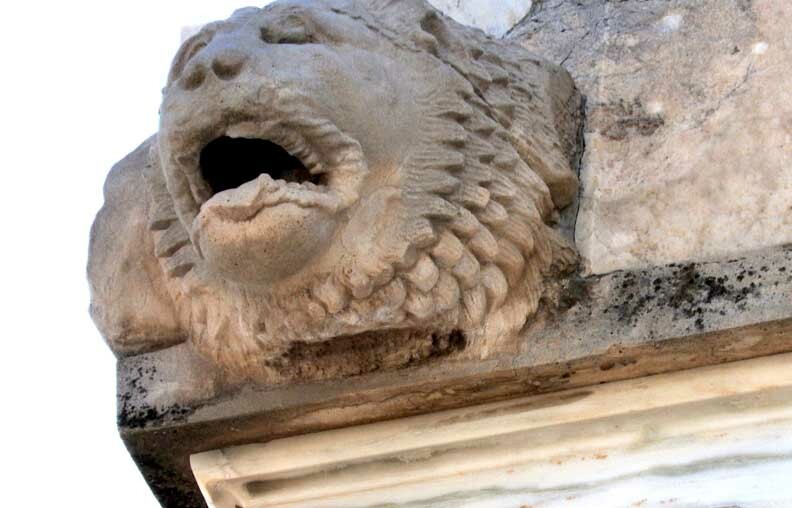 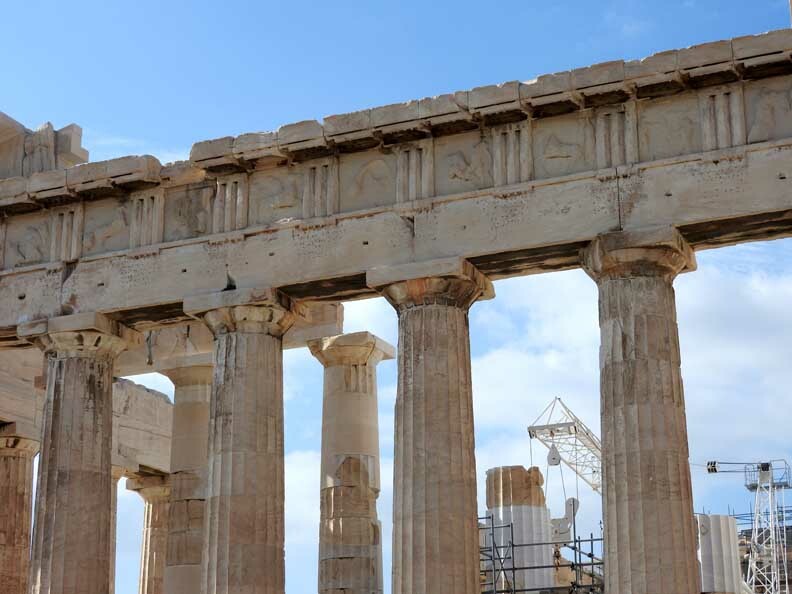 It was built in the mid-5th century BCE and dedicated to the Greek goddess Athena Parthenos (“Athena the Virgin”). 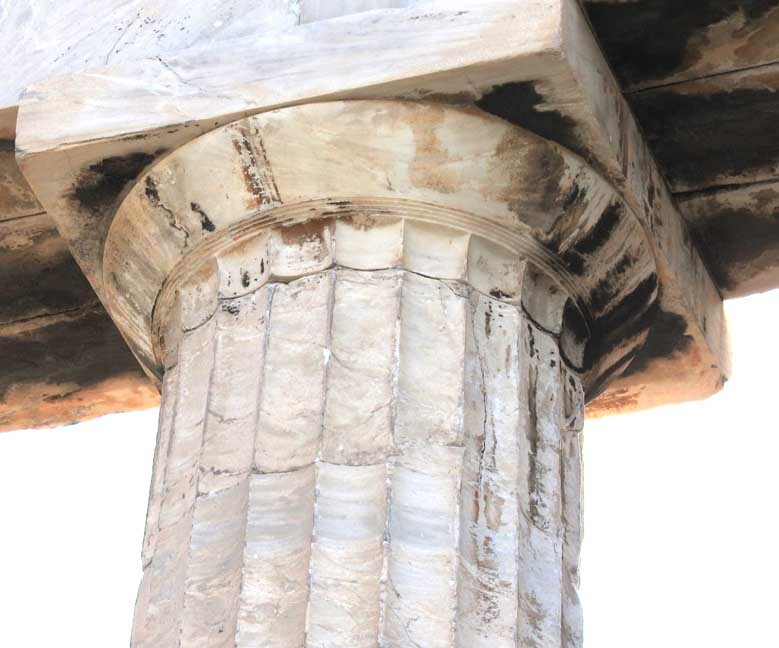 The temple is generally considered to be the culmination of the development of the Doric order, the simplest of the three Classical Greek architectural orders. 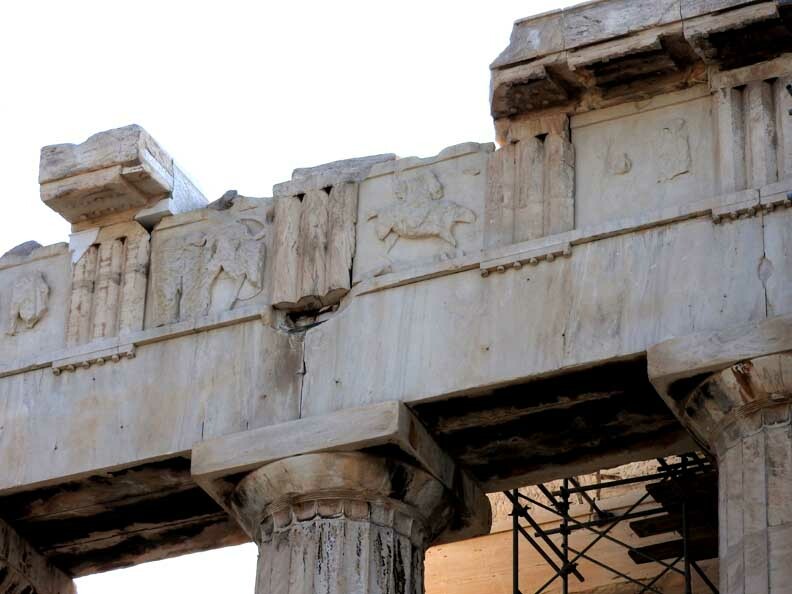 The colonnade, consisting of 8 columns on the east and west and 17 on the north and south, encloses a walled interior rectangular chamber, or cella, originally divided into three aisles by two smaller Doric colonnades closed at the west end just behind the great cult statue. 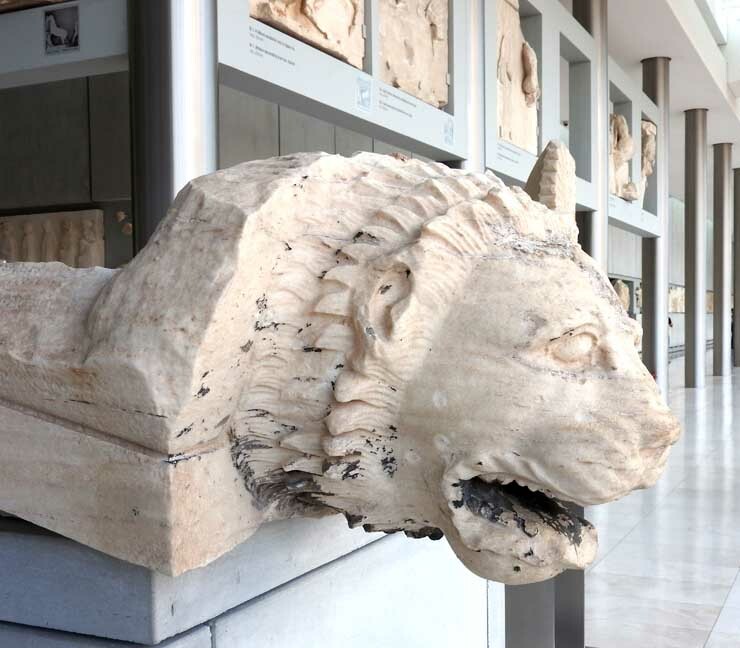 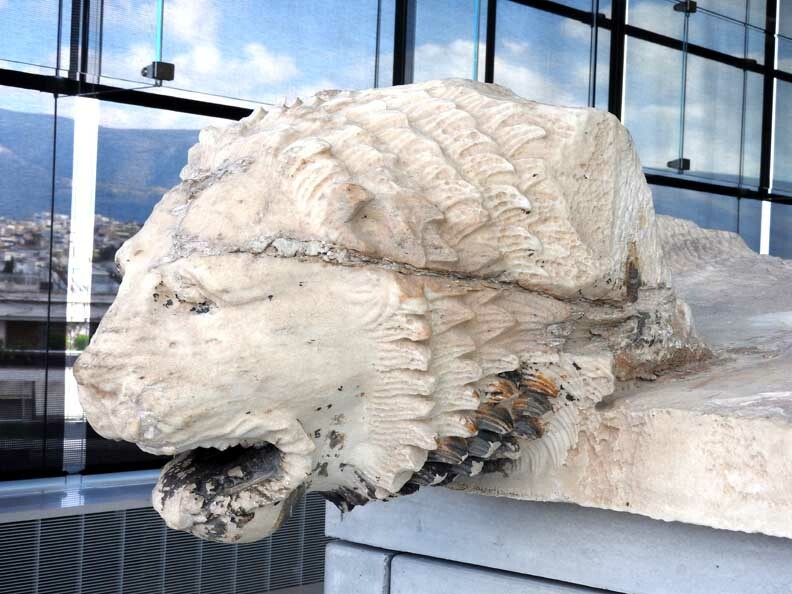 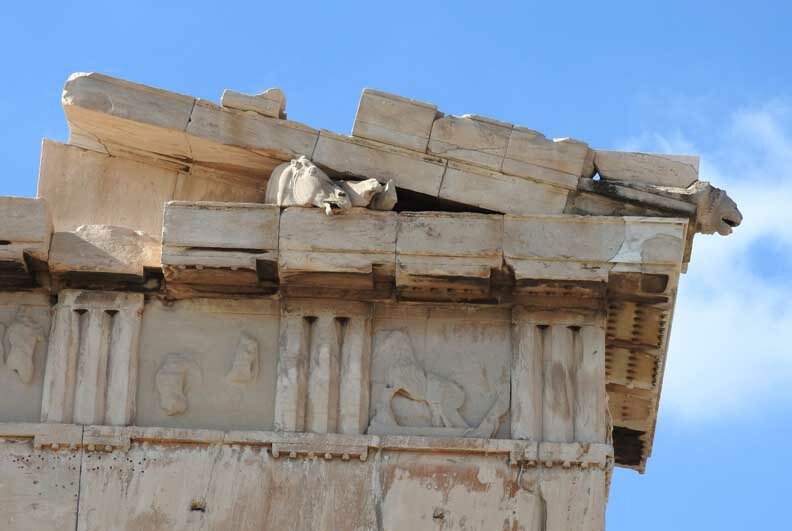 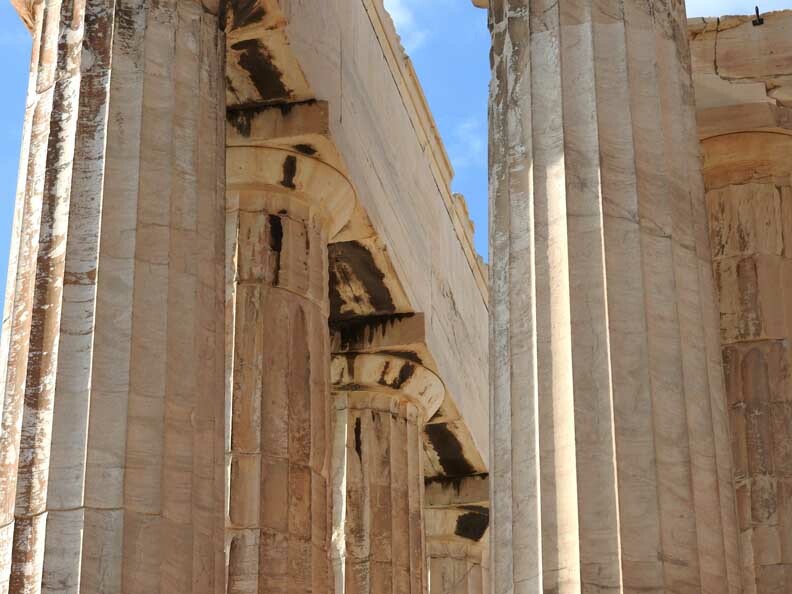 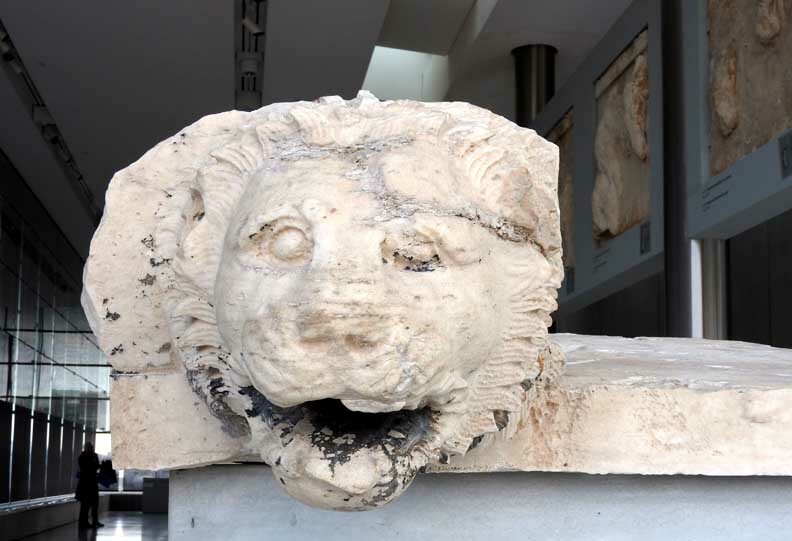 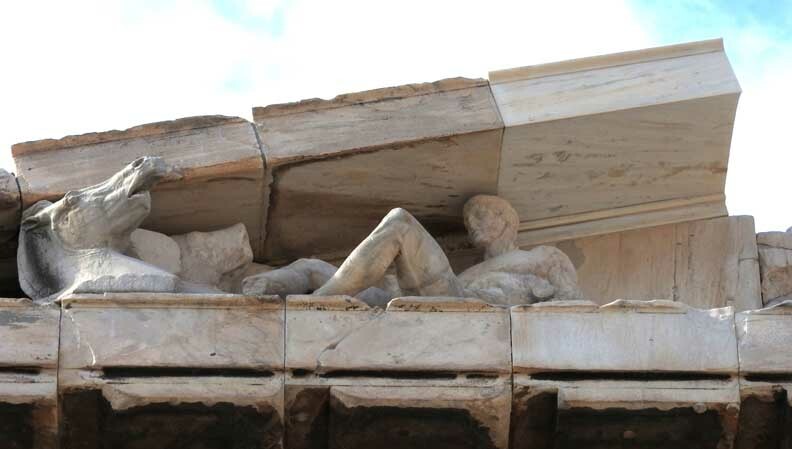 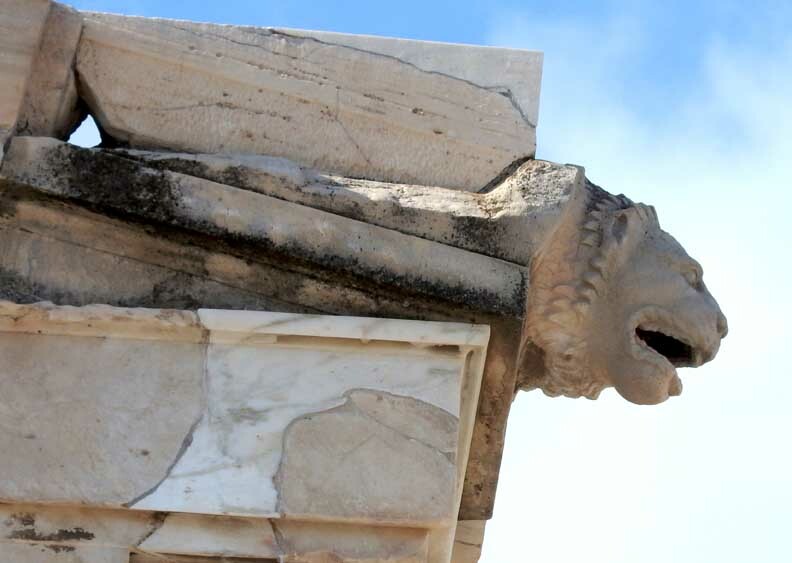 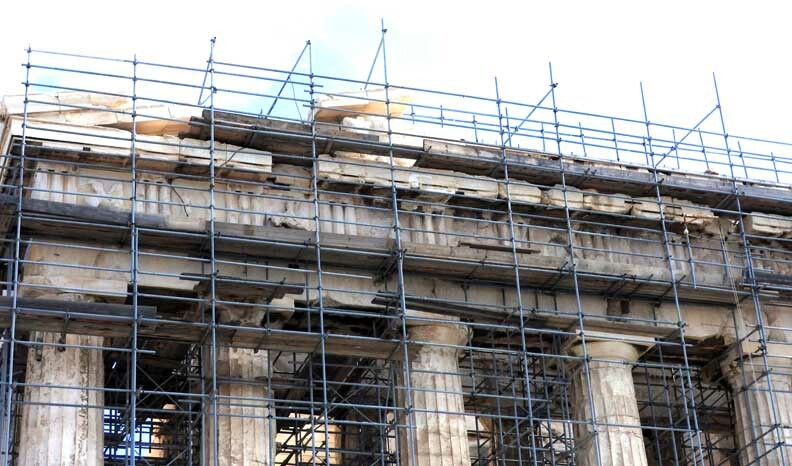 Although the rectangular white marble Parthenon has suffered damage over the centuries, including the loss of most of its sculpture, its basic structure has remained intact. 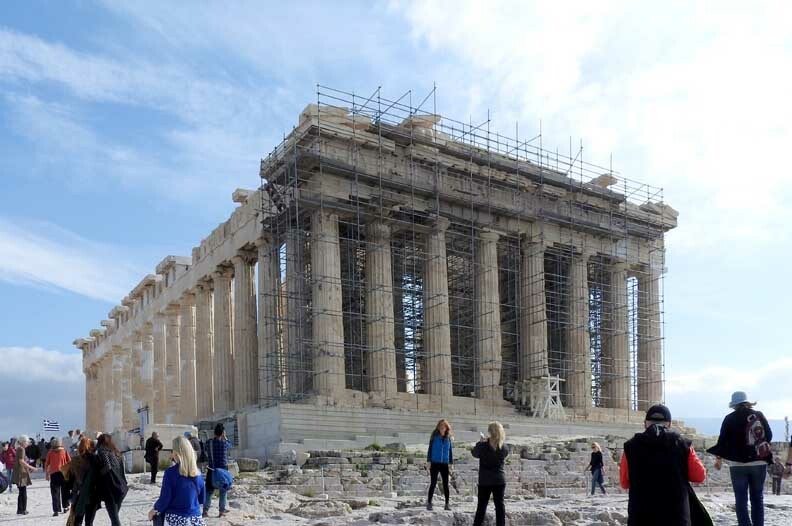 The Parthenon remained essentially intact until the 5th century CE, when Phidias’s colossal statue was removed and the temple was transformed into a Christian church. 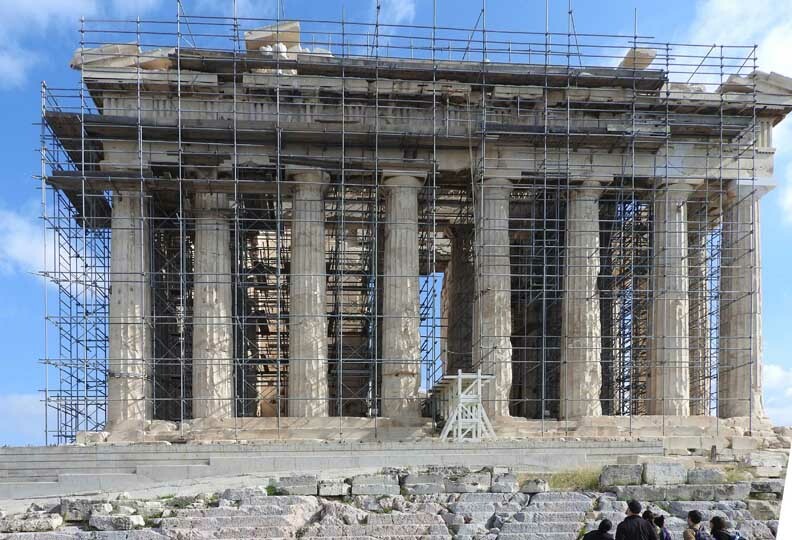 By the 7th century, certain structural alterations in the inner portion had also been made. 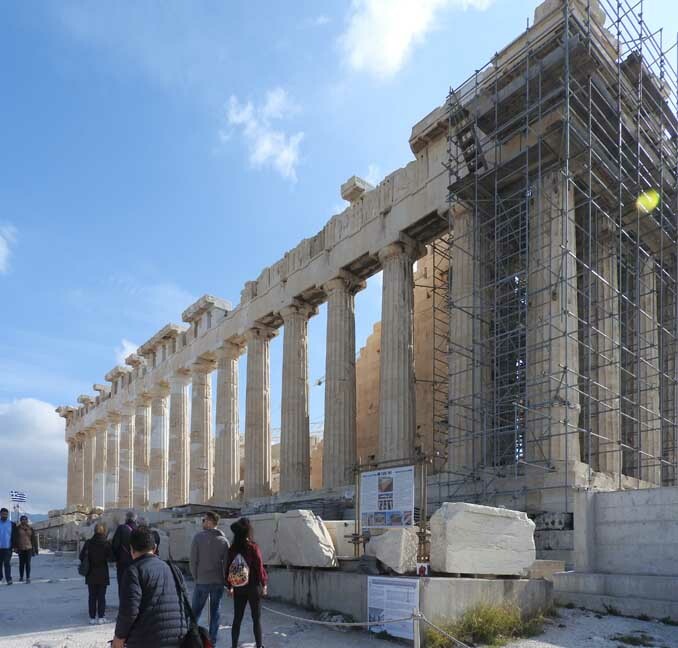 The Turks seized the Acropolis in 1458, and two years later they adopted the Parthenon as a mosque, without material change except for the raising of a minaret at the southwest corner. 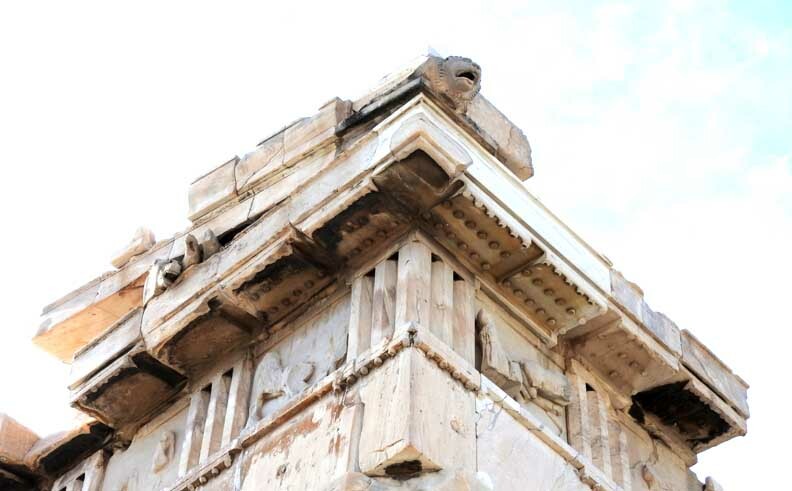 During the bombardment of the Acropolis in 1687 by Venetians fighting the Turks, a powder magazine located in the temple blew up, destroying the centre of the building. 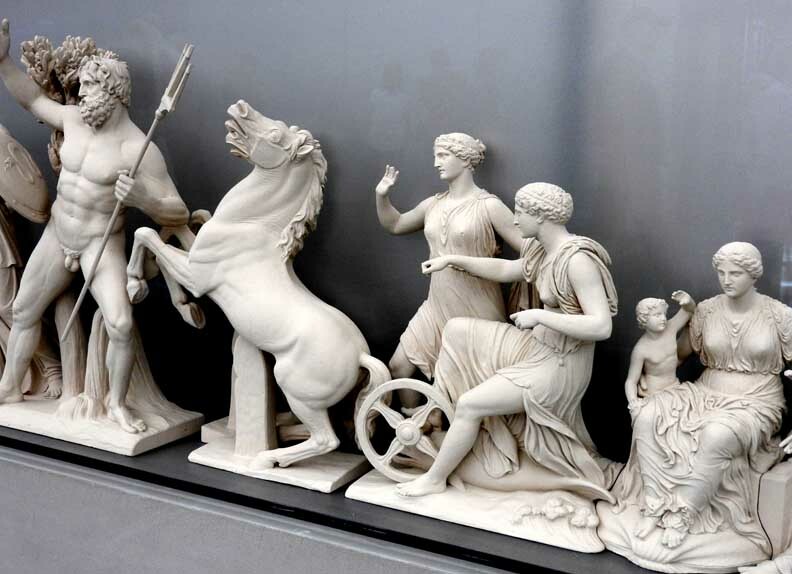 In 1801–03 a large part of the sculpture that remained was removed, with Turkish permission, by the British nobleman Thomas Bruce, Lord Elgin, and sold in 1816 to the British Museum in London. 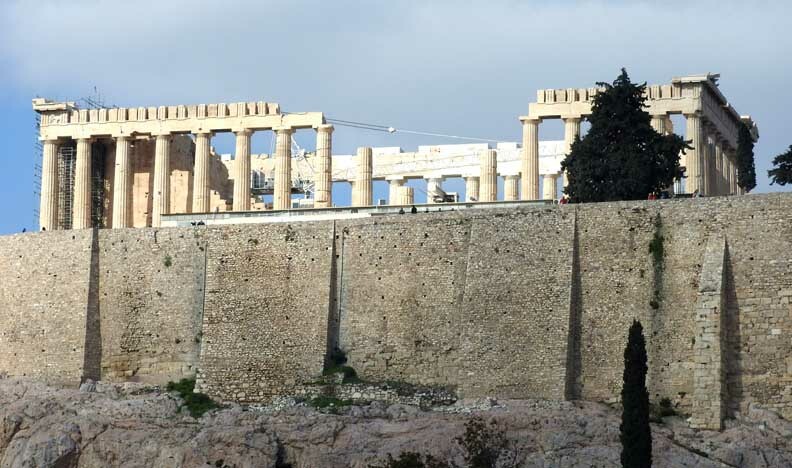 The Acropolis is a hill composed of limestone ... 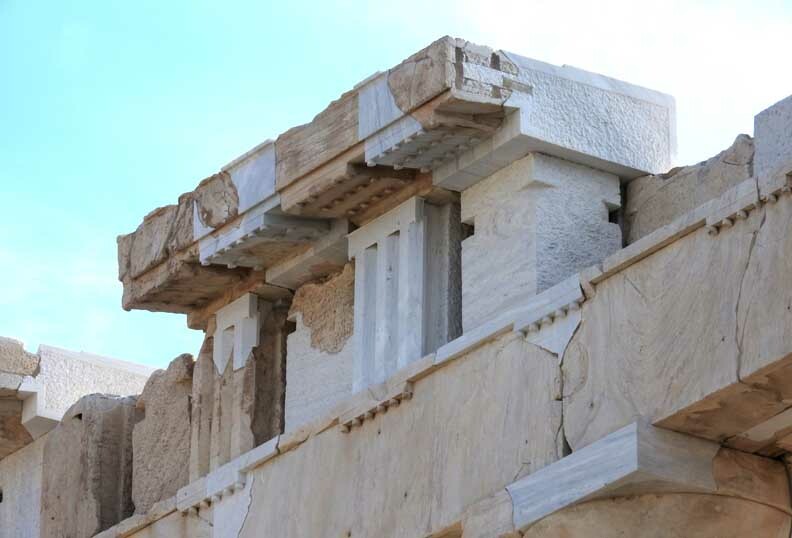 The buildings on the Acropolis are of Pentelic marble, a material that was transported and utilized for the first time by the Greeks. 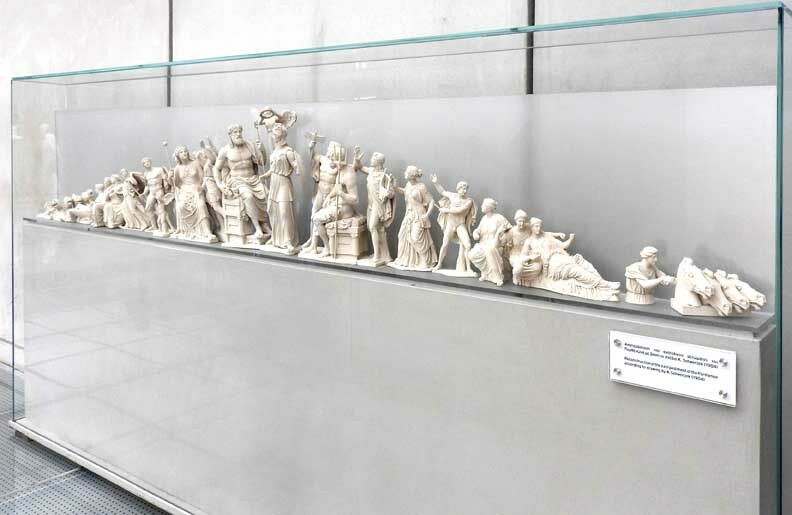 Acropolis Museum - East Pediment "Reconstruction"
The east pediment of the Parthenon showed the birth of goddess Athena from the head of her father Zeus. 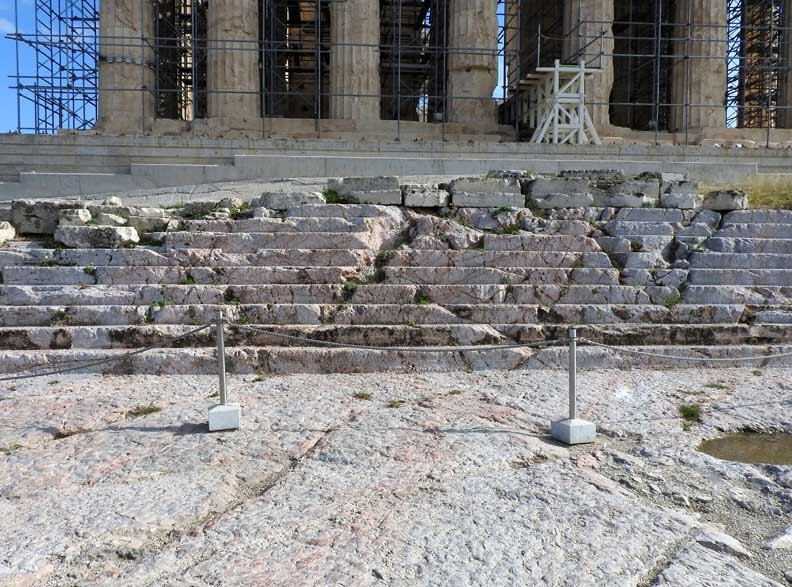 The sculptures that represented the actual scene are lost. 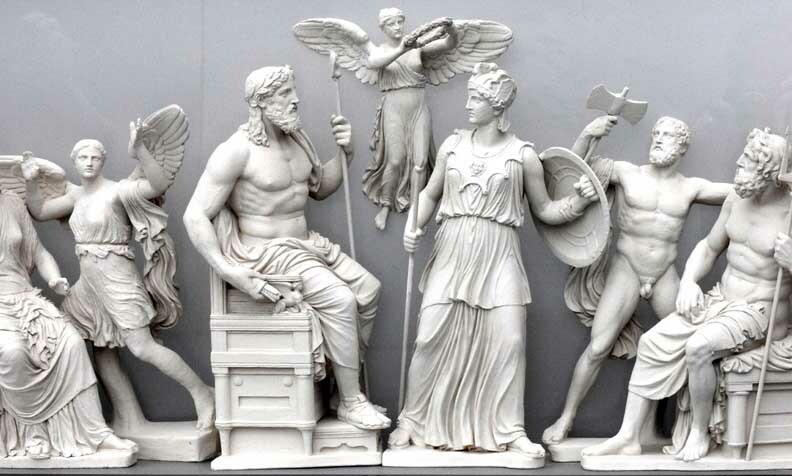 Zeus was probably shown seated, while Athena was striding away from him fully grown and armed. 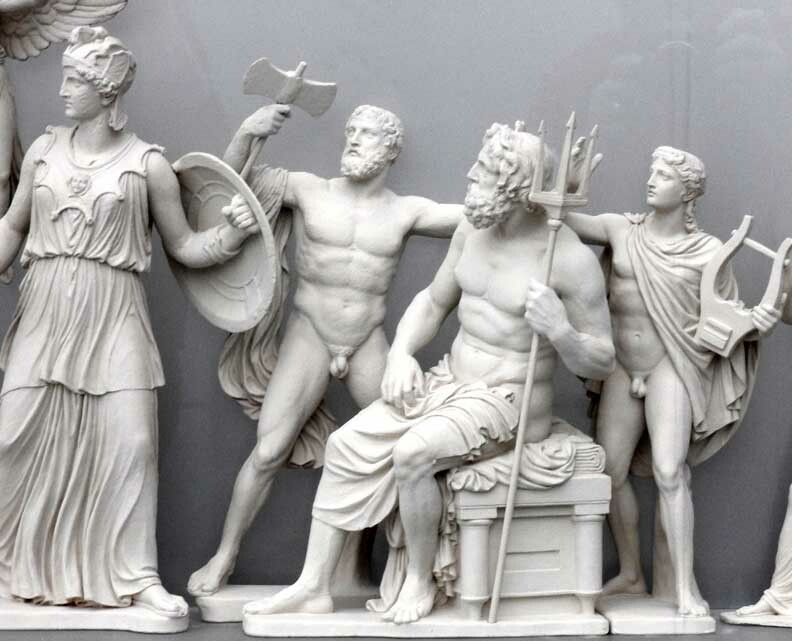 The west pediment depicted the contest between Athena and Poseidon during their competition for the honor of becoming the city’s patron. 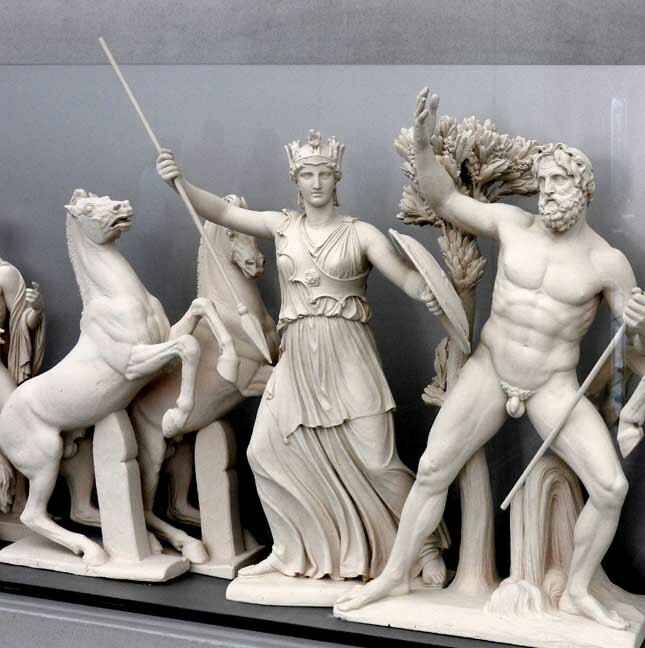 Athena and Poseidon appear at the center of the composition, diverging from one another in strong diagonal forms with the goddess holding the olive tree and the god of the sea raising his trident to strike the earth. 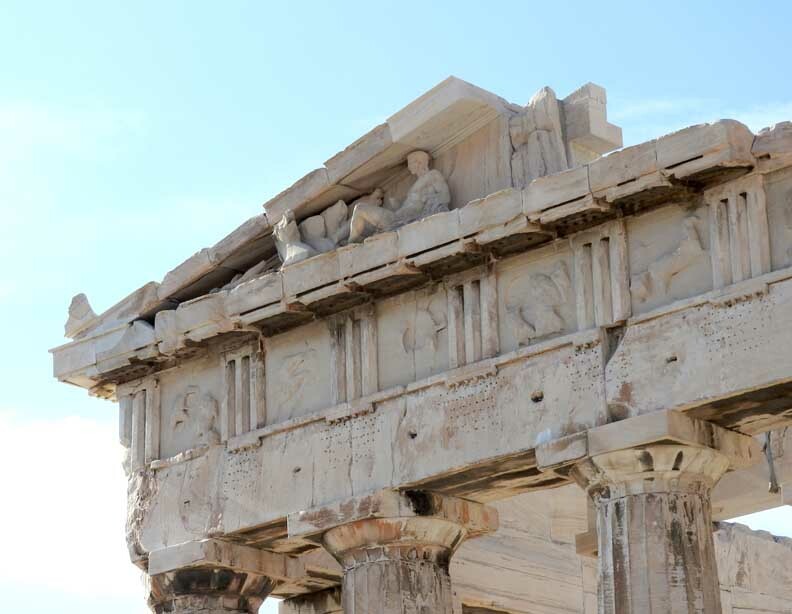 At their flanks they are framed by two active groups of horses pulling chariots, while a crowd of legendary personalities from Athenian mythology fills the space out to the acute corners of the pediment. 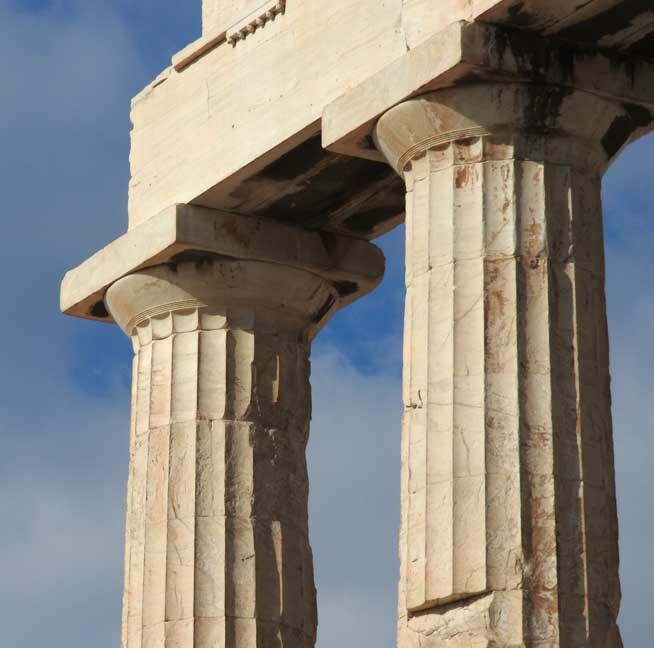 Nike: In ancient Greek religion, Nike (NYE key) was a goddess who personified victory.